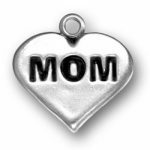 Honor your mother on Mother’s Day with a heartfelt charm from Charm Factory. 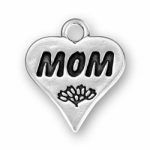 A Mother’s Day charm is a beautiful and thoughtful way to celebrate your mom in a way that she will appreciate for years to come! 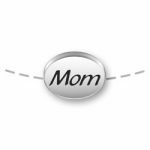 From precious mother-daughter charms to charms adorned with Swarovski crystal, Charm Factory carries a huge selection of thoughtful Mother’s Day charms. 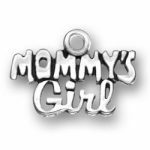 Whether this is a gift for your mom, or the mother of your children, a sentimental charm from Charm Factory will be sure to touch her heart. Looking for an easy way to customize a charm bracelet? 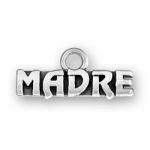 Try our new Build-a-Bracelet designer! You can create the perfect customized gift right from your home. 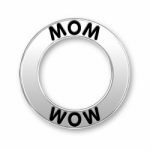 Ordering a charm for an existing or new bracelet is simple at Charm Factory. All charms come with a jump ring that allows them to be attached to an existing bracelet or necklace. If she doesn’t have a bracelet, Charm Factory offers high-quality, durable .925 sterling silver bracelets to select. 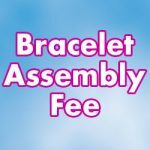 You can easily assemble the bracelet in a few simple steps, or we can ship the bracelet to you pre-assembled for a small additional fee. Getting your gift in time to present it on Mother’s Day is important! 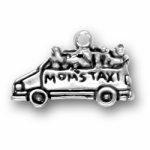 With the easy ordering and quick shipping at Charm Factory, your mom will be wearing her beautiful new charm in no time! 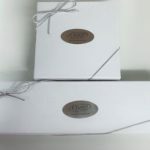 We can process and ship your order that same day, when your order is placed before 7:30 am MST. Best of all, orders over $25 qualify for FREE standard shipping in the USA. 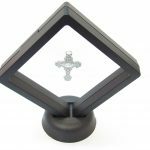 If you need to expedite your order for any reason, you can select your preferred shipping method during the checkout process for an additional fee. 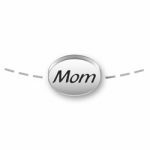 Make your mom feel special on her day with a thoughtful and beautiful Mother’s Day charm from Charm Factory. Contact us today to ask a question!